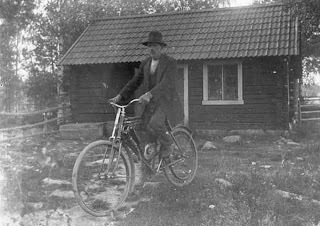 Here are two photos of real old motorcycles, pre 1910. But still, made for riding. any feedback in what brand would be apprechiated. 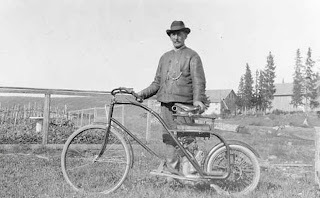 This is a real old motorcycle. Think this is a Mitchell or Thomas Auto-bi from around 1905. Its pretty much like a motorized bicycle.